BP announced Thursday it settled criminal charges with the U.S. government over the 2010 Deepwater Horizon oil spill for $4.5 billion. But that won't resolve some of the biggest liabilities still facing the company. Chief among them is the penalty that could come out of the Clean Water Act -- a potential civil fine for spilling the oil itself. If things go the company's way, that fine could be somewhere between $3.5 billion and $5 billion, said Jason Gammel, an analyst at Maquarie Securities Group in London. But if BP is found guilty of gross negligence in the spill, the penalty could more than quadruple to roughly $20 billion -- dwarfing today's settlement. "That's a bigger deal," said Stacey Hudson, an analyst at Raymond James in Houston. "There's more money on the table." BP has already agreed to pay $20 billion into a trust fund to meet damages claims from the spill, which spewed between 35,000 and 50,000 barrels of oil a day for 100 days into the Gulf of Mexico. BP had also reached a $7.8 billion settlement with lawyers representing private sector victims, although that settlement still needs to be approved by a judge, said Hudson. 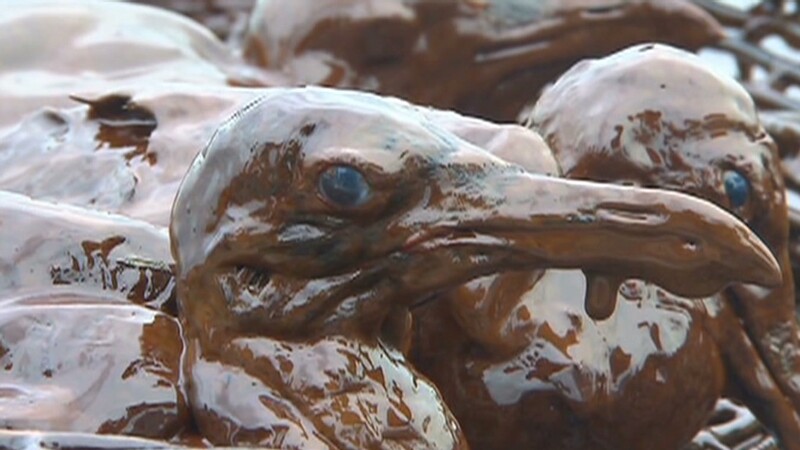 The company said it has now paid nearly $42 billion in spill-related costs. BP (BP) stock was modestly higher Thursday afternoon as investors assumed the company had put the worst behind it. Neither Hudson or Gammel think BP will be found guilty of gross negligence, and both feel the stock is currently undervalued. Shares of BP were trading around $60 in 2010 before plummeting to under $30 a share following the spill. The stock currently trades around $40 a share. Both analysts say the outstanding penalties surrounding the Gulf spill -- including the Clean Water Act penalty and getting the judge to sign off on the private sector settlement -- are the main factors weighing on the company's stock, now that issues around a stake in Russian oil giant Rosneft have been resolved. Gammel said today's criminal settlement could be a step in that direction, and possibly avoid a lengthy trial over the environmental violations. "Once you begin to reach settlements, extending the process would seem to be easier," he said.